FOX has released the synopsis for the October 25 episode of Brooklyn Nine-Nine, "Halloween III". Josh Casaubon (One Life to Live) guest stars in the episode. The third installment of Captain Holt and Jake’s Halloween heist culminates with a tie-breaking competition to claim the title of “amazing detective slash genius.” This year, Jake and Holt split the squad into two teams to help them win in the all-new “Halloween III” episode of BROOKLYN NINE-NINE airing Sunday, Oct. 25 (8:30-9:00 PM ET/PT) on FOX. 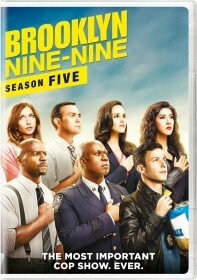 Brooklyn Nine-Nine returns tonight at 8:30/7:30c on FOX with its third season premiere, "New Captain".